Heidi rocked the twist, Rapunzel weaved hers and all three Brady girls bounced their braids into a new generation of twisted-sisters. So what's all the fuss about a braids-all of a sudden? Spring and summer are like casual fridays everyday- braids are easy and relaxed and a perfect twist. You don't have to be a beachy blonde to feel very Cali-bohemian. Dark hair gives the same jolt of style braided, looking glossy and super sleek. 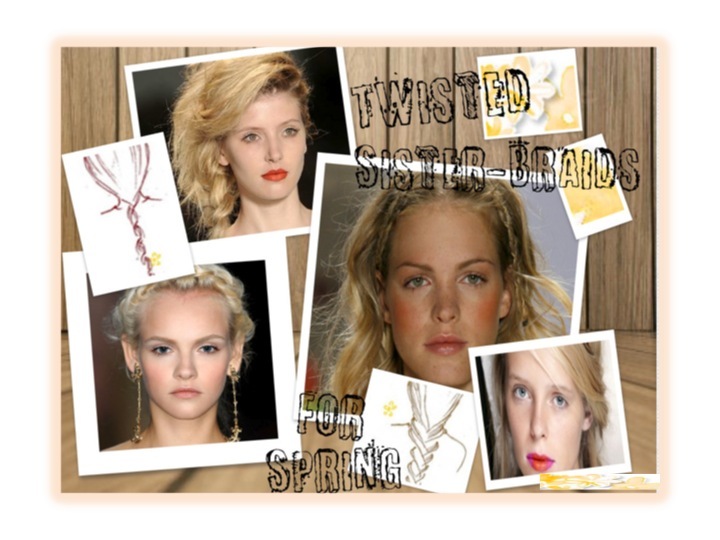 Be it a puffy braid, rock & roll twists, headband braid or even the plain old stand-by, the three stand triple-over, is a fresh and ready style-set for Spring. Blonde VS Brunette in the battle of the braid - Double win!